Amazing litter of KC Dobermann puppies for sale, ready for new homes from 3 May. 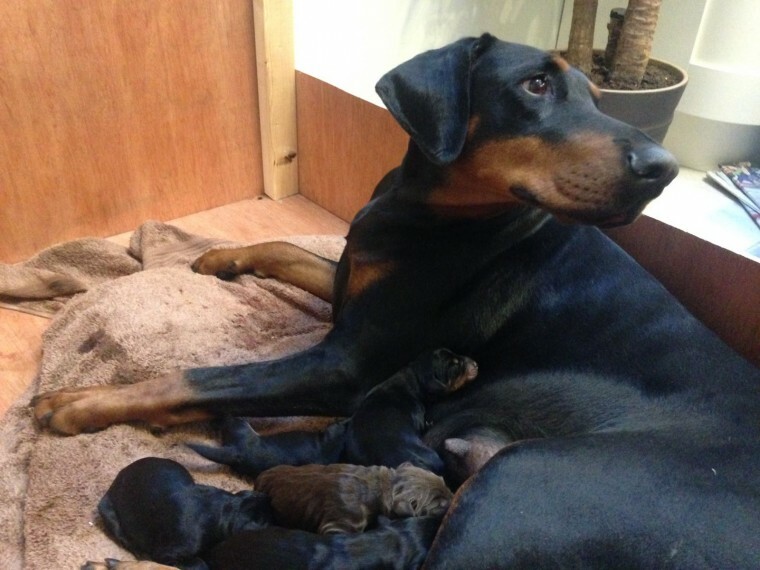 Puppies have an excellent bloodline; sired by Jabbawocky from Newford Dobermanns, with the Dam (Bello Girl) from the Altobello line (including Maxim Di AltoBello). Both parents have great temperament. The litter consists of 5 boys (4 Black & Tan, and 1 Brown) and 2 girls (both Black and Tan). This litter is being brought up in our family home on the edge of the New Forest. All puppies will be microchipped and vaccinated (1st jab). Looking for good homes, where they will get lots of exercise and attention, preferably from prospective owners who have experience with Dobermanns or other large breeds.